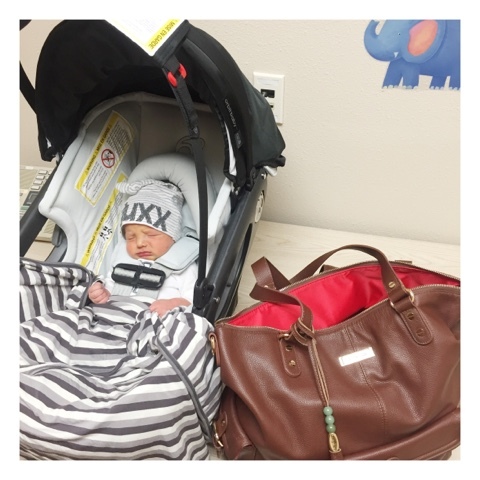 If you are like me choice of diaper bag is super important! It’s one of those things that from day one of finding out that I was pregnant I began the search for the PERFECT bag and then I stumbled across Lily Jade and this is where my love began! It was truly love at first sight! 😉 I just KNEW I had to have one of my own! 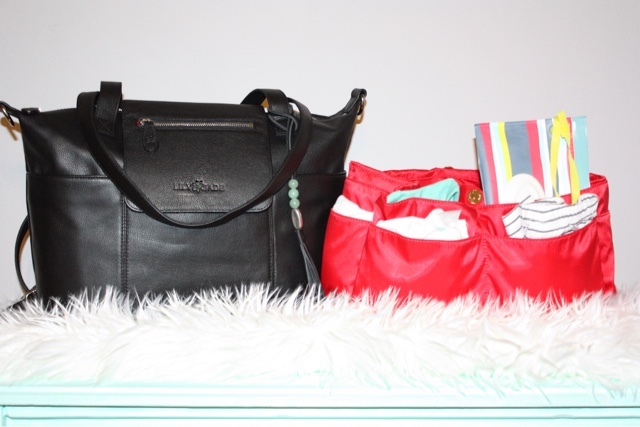 Lily Jade is where style meets functionality and that’s exactly what I needed in a diaper bag! I knew with having 3 babes three & under I needed something that wouldn’t tie up my hands during all of our outings & have lots of space for alllll of our things (which is ALOT)! They are one of the only luxury brands out there who offer a convertible bag that can go from a crossbody/shoulder bag to backpack with a simple change of the straps! I am a backpack girl for sure and love that I can simply put it on my back and have my hands free to hold tiny hands! Another feature that makes Lily Jade stand out from all the diaper bags on the market is the removable inner “baby bag.” It is a removable bag insert with lots of pockets and dividers to make keeping your bag more organized way easier! I love being able to have everything separated so when I’m frantically looking for that one certain thing that one of my little babes is demanding I can easily find it, it’s amazing! Not to mention the fact that if I ever need to take things in the stroller I can just remove the “baby bag” insert for an easier fit instead of taking the entire bag or when I’m getting some “mommy time” I can leave the “baby bag” at home or with whoever is watching my little loves & still have a stylish handbag for myself! And last but certainly not least, it’s machine washable…can I get an “amen”?! We all know how gross diaper bags can get on the inside and this feature makes its super easy to freshen up the bag! I can’t say enough great things about the brand and the quality of these diaper bags, plus when I am out of baby stage (in 1638382 years) I can just use the bags as gorgeous handbags! Win win right?! The leather is just absolutely beautiful…basically I drool over these bags everytime I look at them!! 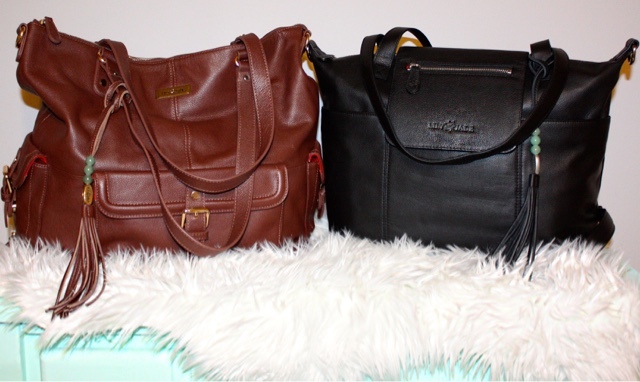 I have the Madeline in black & the Meggan in brandy which both convert to a backpack! I love having one of each color and can simply switch the “baby bag” from one to the other if I’m feeling the need for a change in color or size, which lets be honest…that’s super fun to be able to change to match outfits! 😉 Everyone wants to be a stylish mama! 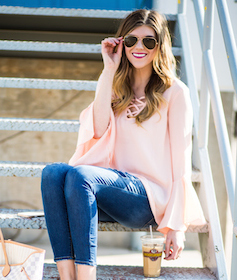 *Babes & Beauty is part of a blogger review program. I did not receive any compensation for this post, although as part of the program I receive items to review or sample. Opinions/thoughts expressed in my blog posts are that of my own!